The Haitian National Palace (better known as the Presidential Palace), located in Port-au-Prince, was heavily damaged by the January 12 earthquake. Originally a two-story structure, the second story completely collapsed. 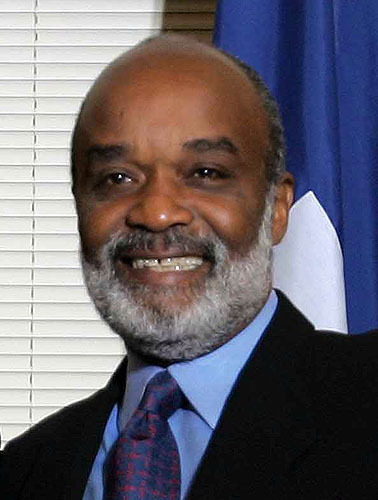 At the time of the quake, the country's president - Rene Preval - was inside the building. He was uninjured. Bos, Carole "Haiti - Damaged Presidential Palace" AwesomeStories.com. Oct 07, 2013. Apr 21, 2019.